Are you looking for a suitable leading online site that can provide you with an exciting range of kids’ products? You are at the right place then. This is because Baby Shop Nepal is one of the leading online stores for baby and kids products. We have a wide range of items for you to choose for your little one. From baby care items to toys, kids shoes to clothes, there is a wide range of items to choose from. Footwear has evolved a lot over the last few years. They are not any more regarded as a protective gear but have turned out to be a style statement. Pairing apparel with the right kind of shoes is considered to be an extension of one’s personality. At Baby Shop Nepal, you will get plenty of options for choosing high-quality kids shoes that can go with formal or casual clothes. 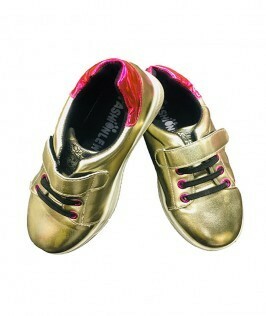 Whether you are looking for a stylish kids shoe for your little one, you can get them easily at online stores. Online store Baby Shop Nepal can provide you with comfortable as well as fashionable shoes for your son or daughter in various colors. Whatever may be the occasion, you need to dress your kids appropriately. If your kid loves to play football, you can get for him a fashion sports shoe. Or, if your child loves to play with sands, you can go for croc shoes. All these shoes are made up of high-quality material that would make walking comfortable for them. At Baby Shop Nepal, you will get shoes for every event like school or athletic or birthday parties, etc. Are you looking for a pair of beautiful shoes for your little angel? At Baby Shop Nepal we try to keep up with the latest trends and provide you the right kind of footwear for your little one. You can easily find cute looking pump shoes or riptape shoes for them just from the comfort of your home. Choosing comfortable footwear for your little boy is not a daunting task anymore. 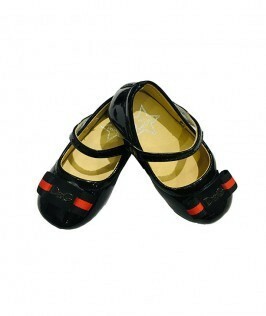 Right footwear for kids can help them to walk without any discomfort. At Baby Shop Nepal, you can shop for a sturdy pair of shoes that are made with high-quality material. You can give the young man in your family a perfect sneaker or a casual shoe. You can get them at an amazing rate. Now do away with the hassle of taking your little one to the store and make him/her try out the shoes. Technological advancement has allowed customers to shop for their required products from the comfort of their home. Baby Shop Nepal, are dedicated to provide the customers with the best online shopping experience. You can get various styles of shoes for kids. What’s more, you can shop for amazing brands very easily.